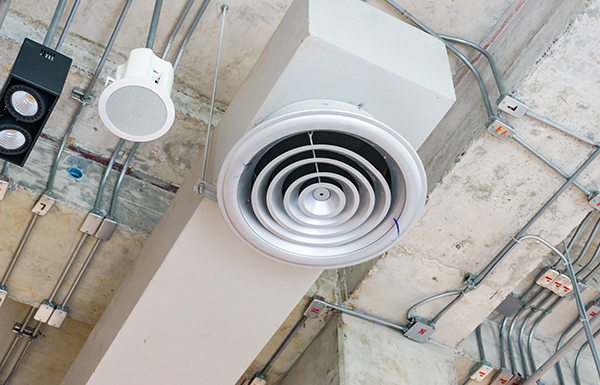 What should you know about commercial duct cleaning? Dirty air ducts, poor air filtration and duct leakages encourage entry of dust in the duct system. When this dust accumulates, it is observed that office spaces become dusty faster. The buildup of humidity in ducts due to reasons like water leakage & moisture promotes development of mold that aggravates asthma, allergies and other respiratory infections. Apart from this, pest infestation is another strong reason that demands thorough maintenance and timely cleaning of duct systems. Operating as a commercial air duct cleaning company in Vancouver, we understand the intensity of impact dirty air ducts have on health, productivity, and well being of its employees. Unclean ducts also are responsible for high energy consumption in organizations. This is the reason why these services are gaining popularity. On the contrary there are several businesses that overlook the need of this routine due to lack of knowledge. However, for better clarity it is important to gain information about various aspects related to duct cleaning in organizations. Should you have plans to renovate or there is suspicion of animals nesting in the HVAC, you should go for duct cleaning. Mold growth, noticeable debris or if you come across repeated instances of employees facing unexplained allergy issues, then it is the right time to call for commercial duct cleaningservices. What do commercial duct cleaning services do? Duct cleaning means cleaning the intake, supply and return ducts in the homes or organizations. It involves cleaning of fans, ACs, motors, air handlers, grilles, registers, etc. Professionals use specialized equipment to clean the duct. They ensure that all duct systems are cleaned thoroughly. Duct cleaning isn’t an easy job. It requires experts trained to make use of specialized equipment. It includes a high-powered industrial vacuum for taking out the debris and scopes that can survey the ducts to ensure all the debris has been removed. Such tools can be handled only by experts. So, it is hard to imagine doing it yourself. What to look in the Commercial duct cleaning services? The company that you contact should be an authorized one. It is important to check online reviews and certifications. Contact their old clients to get feedback. Talk to them, see what their estimates, standards are, and avoid the services that provide steam cleaning. So, these were a few points that you should consider about duct cleaning for your organization. This entry was posted in Air Duct Cleaning, Commercial Buildings. Bookmark the permalink.